Many Types Of Hearing Aids At Hearing Choices - Browse The Largest Range Online! Modern Hearing Aids come in a variety of different types and configurations depending on the features required, budget and the type of hearing loss being treated. Hearing Choices has compiled a list of the more popular hearing aid types to help you with your purchasing decisions. There are a few main types of hearing aids with multiple models and manufacturers for each. Perfect for younger patients, the behind the ear or BTE is contained in a super small case that is held behind the ear. Only a thin tube connects the case to a mold inside the ear. These are super easy to adjust as the controls are outside the ear so volume can easily be changed on the fly for ease of use. These are the most common and popular. The invisible device is the latest, most expensive and high tech style of hearing aid. These are each custom molded directly into your ear canal, only the most discerning person would ever notice that you are wearing one. These are for those with the budget to allow them to get the most discreet and high tech listening device on the market. What Are The Key Differences In Hearing Aid Types? Completely in the canal hearing aids are the smallest and most discreet type of hearing aid. They are created by making a custom mold of your ear canal and the housing sits completely within the canal, virtually invisible to anyone else. There is a thin cord that can protrude slightly outside the canal to make the device easier to remove. A more modern design, the ITE hearing aid is when the complete hearing aid is housed in a small container that sits within the ear. Only a small portion of this hearing aid is visible in the Concha of the ear. They are custom made to fit within the ear but since they are generally small generally don’t have controls on the devices themselves. May be susceptible to moisture and wax within the ear. Behind the ear hearing aids, or otherwise known as BTE hearing aid hook your ear with the housing sitting cleanly behind your ears. The BTE hearing aids have a thin tube which connects the housing to the earpiece which sits within the ear canal. Device is larger so not as discreet. 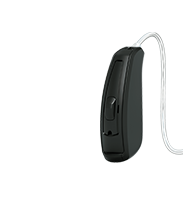 Similar to the RIC hearing aids, the RITE is also when the receiver sits within the ear rather then the hearing aid itself. The difference between the RITE and the RIC is where the receiver sits, the RIC sitting deeper in the ear canal. These are normally easier to use with a telephone because they are smaller than BTE and other types and can be used from mild to severe cases of hearing loss. Receiver may get damaged by moisture and wax in the ear. Generally more expensive than the equivalent BTE hearing aid. Similar to the BTE hearing aids, the RIC hearing aids is when there is a receiver housed in either a custom or standard mold that sits within the ear canal. The advantage over the BTE hearing aids is that they are generally smaller and can you can sometimes change to stronger receivers without needing completely new hearing aids. How Much Do The Different Types Of Hearing Aids Cost? Unfortunately there are so many variables to the cost of hearing aids it would be impossible to give an accurate answer for that. Each style of hearing aid varies from manufacturer to level of technology and features that you want. Our consultants can go over which hearing aid would be the best fit for you and give you accurate pricing. Our local Audiologists are also experts and after a hearing test and consultation they can run through a range of options no matter what your budget is. What Is The Best Type Of Hearing Aid For Me? There is no best hearing aid, everyone's needs are different and ears will respond differently to different types of hearing aids. Here are some questions that you should think about, as our consultants will use the answers to pick the perfect hearing aid for you. - Have you had a hearing test? how bad and what frequencies are your hearing loss? - What environment do you have difficulty hearing, is it only in loud situations or even at home? - How important is it that the hearing aids are discreet and not visible to other people? - Do you want the hearing aids to connect to your TV and Phone? Depending on your answer to these questions and a range of others, our Hearing Choices consultants and partnered audiologist will be able to pick the perfect hearing aid type for your needs. Which Is The Best Hearing Aid Brand? Fortunately, there are many hearing aid manufacturers that all make excellent products. 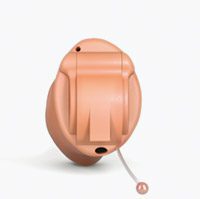 While the major 7 hearing aid manufacturers all offer similar styles and types of hearing aids, some peoples ears sometimes do respond to different manufacturers better than others. We have seen countless times people unhappy with one brand of hearing aids but after swapping to a different brand see remarkable improvement. At Hearing Choices our local audiologists will let you try all the leading hearing aid brands to find the perfect ones that suit your hearing needs. No matter what type of hearing aid you are after, our local partners will have stock and let you trial them all.